Tonight was a bittesweet event for the Shaindy Rudoff Graduate Program in Creative Writing at Bar-Ilan University. Forty former students of Allen Hoffman, the marvellous writer and extraordinary teacher of writing, gathered at Bar-Ilan to pay tribute to a wonderful man. 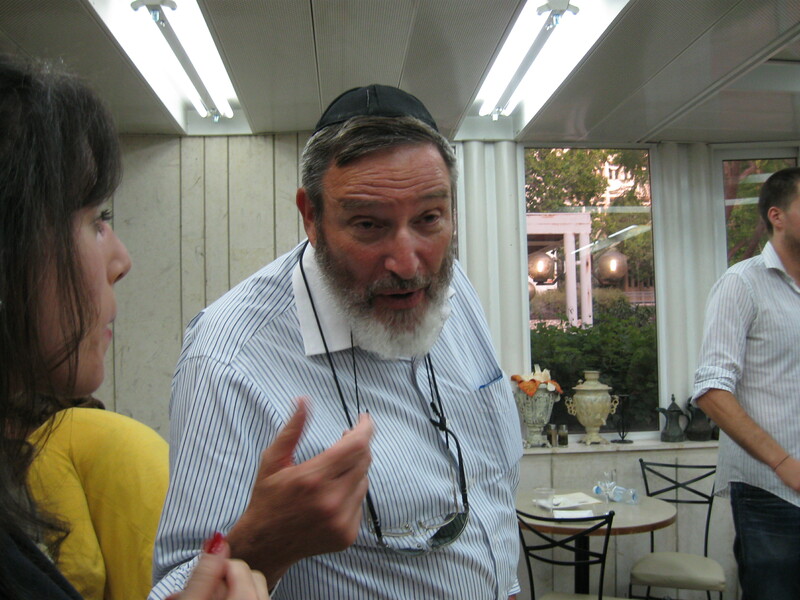 Allen is retiring after twenty-five years of teaching at Bar-Ilan, nine of those years with the graduate creative writing program in which he served as writer-in-residence. We will all miss his humor, decency, caring, honesty and x-ray vision when reading texts. Among those who spoke about their teacher were Yonatan Sredni, Yossi Nachemi, Annael Jonas, Egonne Roth, Zach Helke, Janice Weizman, Sophie Judah, Ezra Olman and Renee Atlas. Professor Michael Kramer and Linda Zisquit expressed their own personal sadness to see their good friend leaving Bar-Ilan. I am among the many who share this sadness. This entry was posted in Teaching and tagged Allen Hoffman, Shaindy Rudoff Graduate Program. Bookmark the permalink.